On February 12 Mr. William Andrews died at the ripe age of 93. Many old inhabitants of Aston will recollect Mr. Andrews’ factory, the Sanspareil Works, in Victoria Road, which was probably one of the first, if not the first, cycle factory in Birmingham. Here Mr. Andrews made his famous machines, and also made machines for S Bettmann & Co of London, under the transfer of the Triumph. Mr. Andrews was closely associated with Wm. Bown, the inventor of Ball Bearings; Thomas Humber of the Beeston Humber; Edward Mushing of the Centaur; George Singer of Singer & Co; J K Starley of the Meteor Co – later the Rover; and many other men in the early days of the bicycle. We remember in our very youthful days pressing our nose against the showroom window of the factory in Victoria Road, Aston, with great desire to be the owner of the products displayed therein but lacking the necessary wherewithal to fulfil those desires. Mr. Andrews had under his charge many men who later became prominent in the cycle industry and some of them are still connected with it, having made their fortunes from the foundations of their apprenticeship with Mr. Andrews. He was buried in a simple plot in Parkstone Cemetery just outside of Bournemouth beside his daughter Edith. Andrews was an important cycle maker in the earliest days of the industry, though his name has now faded into obscurity. So here is a biography that shows his association with the Triumph Cycle Co. The first ‘Triumph’ bicycles were rebadged machines purchased from William Andrews, and it is believed that Triumph bought the remaining inventory of Andrews’ company in 1902. Triumph was founded by Siegfried Bettmann in 1886. Mauritz Johann Schulte became Bettmann’s partner in 1887; in 1888 Schulte worked at Wm Andrews for several months to gain experience of Wm Andrews’ bicycles. When Siegfried Bettmann arrived in England from Nuremberg, in 1883, after a very short while at the Station Hotel, Holborn Viaduct, he moved to cheaper accommodation in Church Road, Islington. On his very first evening in these lodgings he met ‘young, handsome, fair’ Mauritz Johann Schulte who originally hailed from Hanover, but had travelled to London to try his luck after living seven years in Holland. Mauritz had already been in London for three or four weeks but had not looked for a job. With Siegfried’s encouragement both started job hunting and both were offered jobs after two weeks of letter applications to advertisers in the ‘Daily Telegraph’ newspaper. Siegfried didn’t mention what job Mauritz had obtained but only that for the first two or three months he was earning slightly more than himself. In 1884 Bettmann and Schulte both changed jobs. Schulte was engaged as a foreign traveller at £3 per week by a firm dealing in chinaware and pottery (an unskilled job not unlike Bettmann’s, but with products less related to ‘engineering’ than Bettmann’s sewing machines). When trade worsened for the White Sewing Machine Company in 1885 Siegfried lost his job and being fed up with the uncertainty of working for other people and having experience of commercial travelling decided to start his own business selling the German Biesolt & Locke sewing machine in Britain and British bicycles in Britain and overseas. He named the company S. Bettmann & Co in a partnership form, in the hope that some good friend, preferably Schulte, would join him in the not-too-distant future. Business did not materialise as Siegfried had hoped for his new company, so in December he returned to the unfilled position of foreign traveller for the White Sewing Machine Company while still operating his own company. In November 1886 Mauritz J. Schulte offered to join Siegfried Bettmann as a partner. He had saved £250 from his two years as a foreign traveller in chinaware and pottery, so the capital of the firm was decided to be £500. 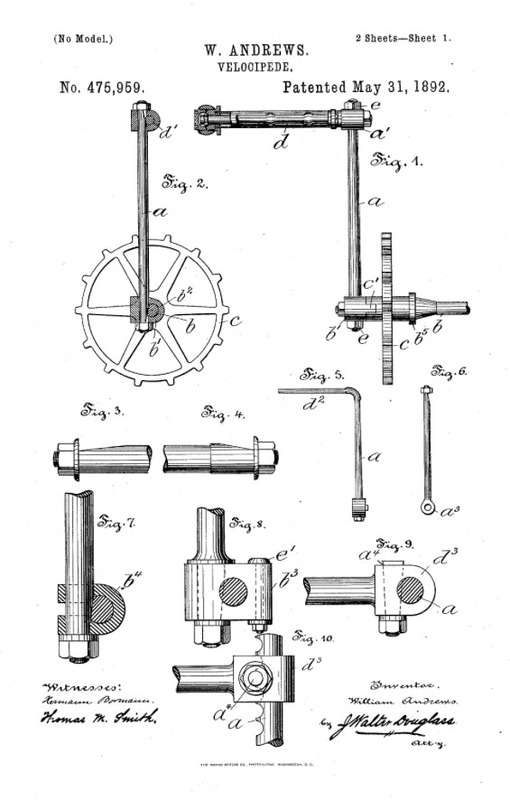 In 1887 whilst Bettmann was still travelling Schulte came to an arrangement with the Birmingham bicycle manufacturer of William Andrews to make bicycles in accordance with their own specification and in 1888 Schulte spent two months with cycle maker William Andrews in Birmingham working at the bench in order to gain mechanical experience. William Andrews was born on 28th February, 1839, in Stott Street, Hulme, Manchester. Like many 19th century British entrepreneurs, he apparently perfected his engineering skills in America, during the time of the the Civil War, and subsequently worked for the Singer Sewing Machine Co. Returning to England, he set up as a sewing machine maker, around 1871, with a factory at 126 Steelhouse Lane, Birmingham. An 1878 advert reads: Andrews, Wm, 145 Steelhouse Lane; manufacturers of the ‘Wheeler & Wilson,’ ‘Sanspareil’ and other sewing machines. These machines are of first-class workmanship and finish. Wheeler & Wilson, £5 5s 0d; Sanspareil, £1 10s 0d. The story goes that one day a customer arrived in the sewing-machine shop and, after purchasing one, asked if he might place a bicycle he wished to sell in the front window of William’s shop. William replied that if it sold he would go into the bicycle-manufacturing business. Presumably the bicycle did sell, as he started making bicycles, using the ‘Sanspareil’ sewing machine name name for his high-wheelers from around 1880-89 – originally from 3 Steelhouse Lane, Birmingham up to 1882; then from Victoria Works, 21 Victoria Road, Six Ways, Aston, the premises of the former firm of Thomas Palmer which had ceased to trade. The company became W. Andrews Ltd in 1887. The ‘Sanspareil’ high-wheeler was described as a mixture of the Xtraordinary, the Facile and the Devon safety. The ‘Sanspareil’ Chapman automatic steering safety was made in 1889. This involved a saddle which swung with the steering. Another model on offer was the ‘Colonial’ from around 1887-1892. In 1890 Andrew Williams Ltd was formed. For 1892 there was a ‘Sanspareil’ spring frame. This had front forks with horizontal members pivoted at the ends, beyond the wheel circumference, with curved sections running from the head. There was a coil spring on each side between the curved and horizontal sections. It was priced at £23 with Boothroyd tyres. 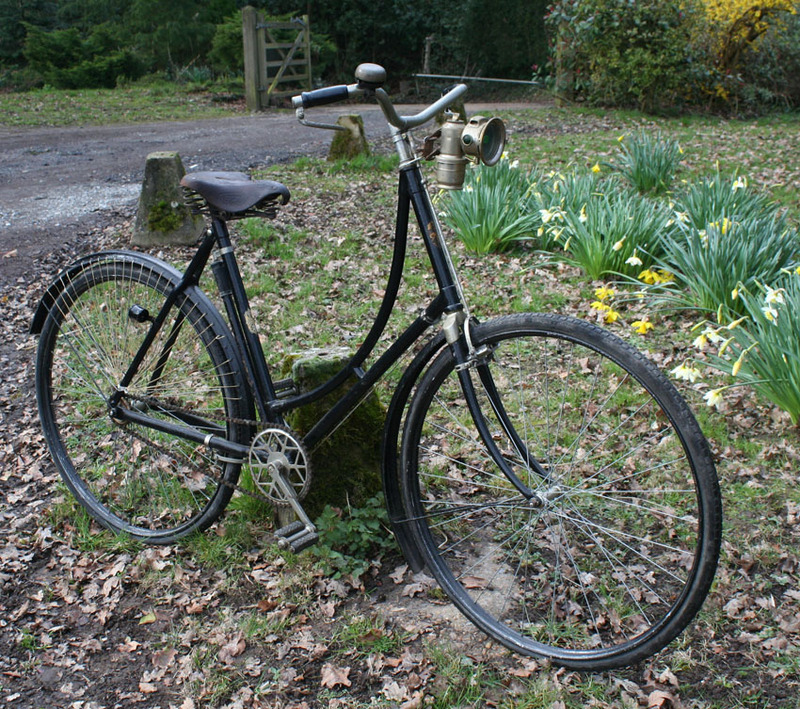 Other models in 1892 were the full and light roadster, the racer and a tandem safety at £33. 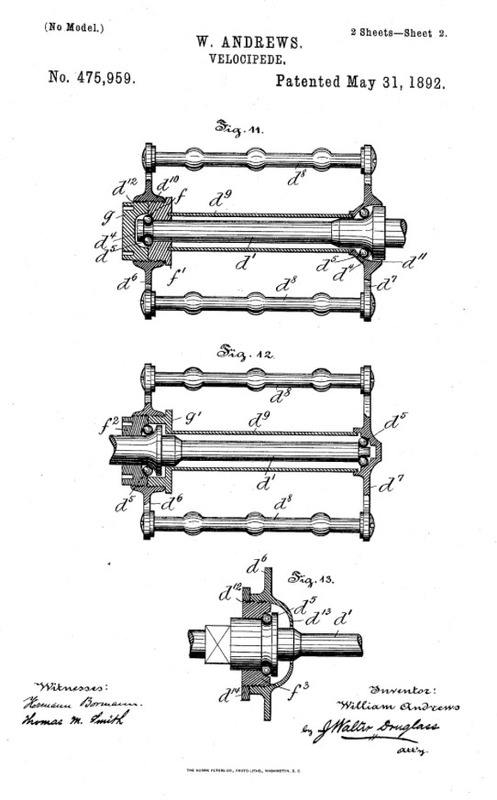 Andrews also produced a geared rational in 1892, along the lines of the Crypto with 46 in. front and 24 in. rear wheel. This was priced at £25. His cycle works lasted until 1902 when it was sold to Triumph. 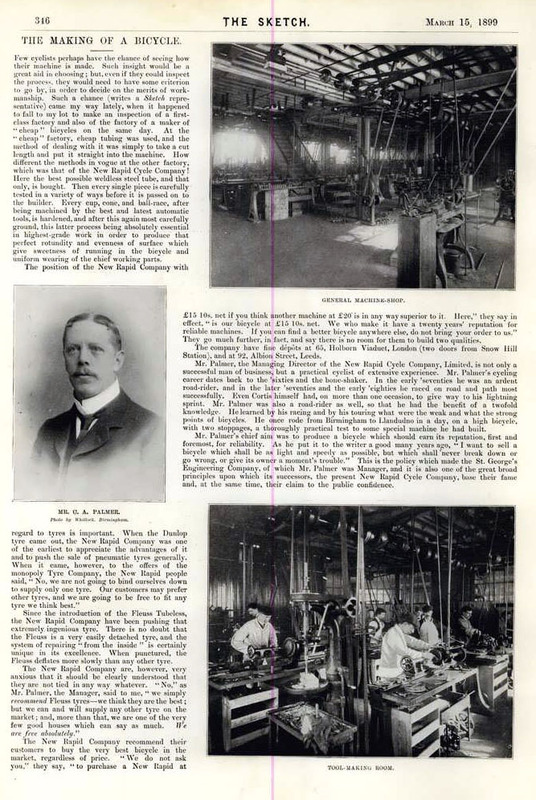 In 1907 William entered what would be his last business venture when he founded, with a business partner Mr. Riley, the United Steel Wire Mill that made spokes for bicycle and motorcycle wheels. This last company outlasted even its founder and finally folded in the 1970s. William entered semi-retirement in 1910 when he moved permanently from Aston to Bournemouth. He had initially purchased a house there in the early 1890s on his doctor’s recommendation as a more-suitable place for his daughter Edith who suffered from consumption. Unfortunately she died soon after her arrival but the house, Chineside, was maintained as a summer house. William was a short man with white hair and long white beard who was often mistaken for George Bernard Shaw. He loved billiards, was a voracious reader and was a loyal member of the Masons. He seemed to have maintained a passion for exercise throughout his life and could out-walk most men half his age. He would go on daily trips into town and was still doing so three weeks before his death. He evidently caught the flu, became confined to bed, and died. His will, probated 20 April 1932, showed an estate worth about £9,000. William Andrews took over the struggling business of Thomas Palmer, relocating to Palmer’s factory premises in Aston, Birmingham. Thomas’ son Charles Palmer, who subsequently became a leading figure in the cycle and tyre industry, started in the cycle business by working for Wm Andrews between 1880-1884. Thomas Palmer and his brother started producing boneshakers in 1869 at 21 Victoria Road, Aston, having been a gun implement maker. Believed became Palmer Bros., then Palmer & Son in 1879, Palmer & Holland by 1880 and finally Palmer & Co., trading from Victoria Works, Six Ways, Birmingham, Warwickshire, and producing ‘Anti-vibration’, ‘Champion’, ‘Interchangeable’, ‘Interchangeable Racer’ ‘Interchangeable Roadster’ and ‘Queen Mab’ high-wheelers from c.1876-82. The works at Aston were then taken over by William Andrews although the son, C. A. Palmer, seems to have continued with the business until 1884. Thomas Palmer was located at 15 Cannon Street, Birmingham in 1883. Below is an 1882 report of country court judgements, including one for John Palmer trading as Palmer & Son, bicycle manufacturer of Victoria Works. C. A. Palmer then went to manage in 1884 what was to become St George’s Engineering Co (in 1885). Charles Palmer does not appear to have had a straightforward relationship with his father’s company. At the end of 1880 at the age of 22 he was articled for four years to W. Andrews, one of the most notable cycle firms in Birmingham and makers of the Sanspareil. Indeed, at least part of the time he raced on a Sanspareil machine and they proudly advertised the fact. So he should still have been at Andrews in 1883, but here the record becomes confusing, because Charles also crops up briefly as manager of his father’s cycle business in 1883-4. Perhaps his father became ill or died in 1883? Then perhaps Charles was given leave by Andrews to return to the family firm to sort out its future. Very tentatively we may suppose that having engineered the absorption of his father’s struggling business into Andrews in July 1884, he felt free to seize the opportunity at St. George’s of being a bigger fish in a bigger pond. In August Palmer patented his detachable handlebar (which was likely an improvement on the Andrews’ detachable handlebar, patented six months earlier) and on 1st September he took up the position of manager of St George’s cycle business. 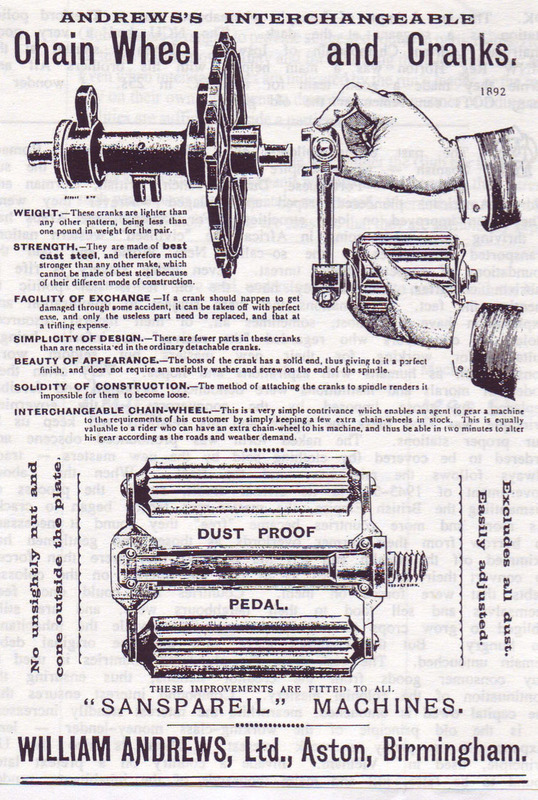 This company developed the ‘New Rapid’ bicycle range, launched at the 1885 Stanley Show with ‘True Tangent’ wheels. 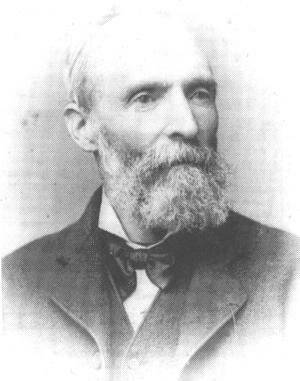 Charles Palmer bought St George’s Engineering Co in 1888. By 1894 the company was producing an estimated 7000 cycles, but his business interests had by now extended well beyond St George’s Engineering: he had become the chairman of Hudson & Company Limited, ‘tube and bicycle manufacturer of Selly Oak and Bournbrook’ in 1892, and shortly thereafter the chairman of the R.F. Hall Manufacturing Company, manufacturer of cycle components and accessories. In 1894 both companies were absorbed into the newly formed Cycle Components Manufacturing Company Limited. Palmer, as proprietor of St. George’s Engineering, also partnered with M.D. Rucker of the Humber company to lead a group of the most powerful cycle makers to secure a license for supplying and fixing pneumatic tyres from du Cros’s newly formed company, ‘The Pneumatic Tyre and Booth’s Cycle Agency Ltd.’ But they were rebuffed, and instead the consortium formed a rival company: in 1896, they bought the Birmingham-based ‘India rubber and tyre manufacturing company’ Capon Heaton, and the patents for tubeless pneumatic tyres from Henry Albert Fleuss and James William Smallman. Putting these pieces together, the new business was awkwardly called ‘The Tubeless Pneumatic Tire and Capon Heaton, Limited’. Dunlop became the chairman and Palmer a director, and the new entity was floated on the Birmingham and Dublin stock exchanges. With a downturn in trade by 1908, St George’s Engineering Co was taken over by the Armstrong Triplex 3-Speed Co, and then by New Hudson. The Fleuss tubeless pneumatic tyres didn’t prevail but Capon Heaton continued to manufacture conventional bicycle tyres (Boothroyd Cycle Tyres) and other rubber goods for many years. It continued as an independent business until it was sold to Avon Rubber in 1964. There’s no known connection between Charles Palmer and Palmer Tyres Ltd.